As of April 1st, Anton Paar launched a new generation of L-Rix sensors. They are not only cheaper for customers, says product manager Miha Zavrsnik, but also offer other significant advantages. The three sensors, now called L-Rix 5x00, are used in tubing or reaction vessels and measure the concentration ratios of the substances surrounding them directly in the production process using inline refractometry. These can be beverages, mayonnaise, jam, or AdBlue diesel additive. Technically, these "inline refractometers" make use of the refraction of light. In the device, a light beam is sent through a sapphire prism in the direction of the medium to be examined. The light penetrates the interface between the prism and the liquid sample. Some light rays are totally reflected, others only partially and some not. A sensor detects the reflected light and the angle of reflection which finally are a measure for the concentration of the sample. What may sound simple, of course, requires complex formulas and evaluation procedures in the measuring instrument, which finally give a value for the concentration derived from the light signal, the angle of reflection, and the temperature of the sample. The most comprehensive statement is given by the top model L-Rix 5200, in whose firmware special polynomials and formulas for determining the Brix value (sugar concentration) have been developed and integrated by Anton Paar. The L-Rix-series is superior to the competition, says product manager Zavrsnik, because it offers many advantages. It is maintenance-free for more than 100,000 operating hours or more than ten years, it needs no readjustment or calibration during operation, can be easily cleaned in the production process and is freely configurable by the users (except the entry-level model of the series). The top model offers the highest accuracy. 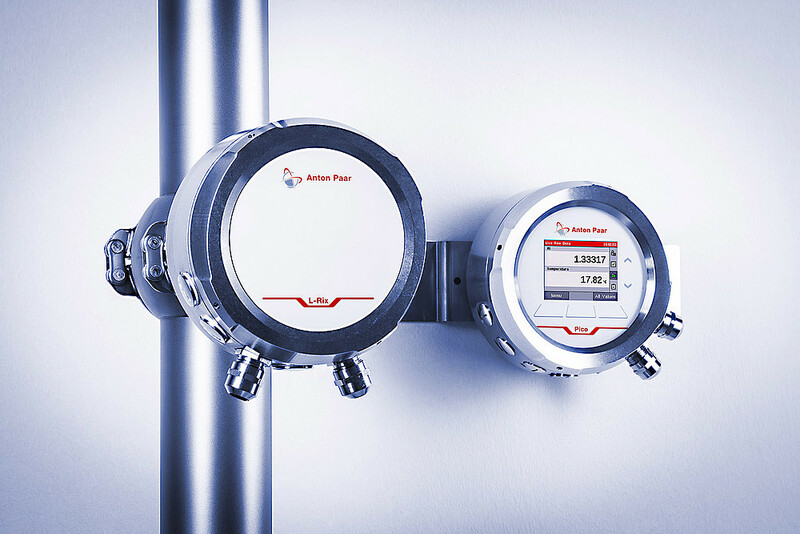 All sensors come with free configuration software and smart accessories such as a sapphire crystal washing system or an optional deflector that can be mounted opposite the sensor to prevent sticky samples from clogging the sapphire. The goal to sell a significant number of L-Rix sensors per year should be supported by the industrial trend to shift more and more quality testing from the laboratory to the process. 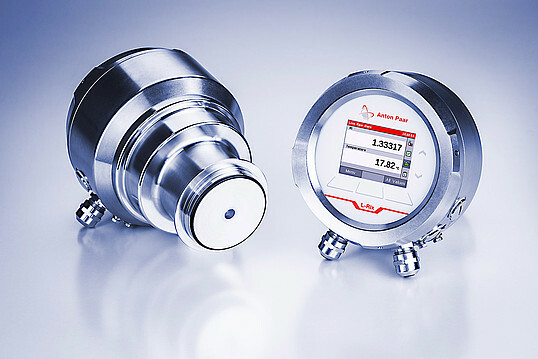 Concentration measurement using the refractive index complements the analysis option via density measurement. Depending on the sample, one or the other variant is better; Anton Paar offers both.